This proposed rezoning would have a transformative impact on Flushing, a densely populated, pan-Asian immigrant neighborhood with a sizable Latino population and a small but historic African-American community. Although DCP recently postponed the April certification of the Flushing West rezoning plan (which would have initiated the uniform land use review procedure (ULURP), the plan continues to move forward and remains a key piece of the mayor’s controversial housing program. As the rezoning of Flushing West moves forward, the existing affordable housing stock there is at risk. After much public debate and protest, Mayor de Blasio’s mandatory inclusionary housing (MIH) plan was approved by the New York City Council in March. MIH is a citywide policy that requires residential developers in newly upzoned areas to provide some below market-rate housing, either inside a new development or somewhere off site. As MIH (and the related Zoning for Quality and Affordability (ZQA) plan) moved through ULURP, communities contested the plan on numerous grounds: it would not build enough affordable housing; the affordable housing that would be built would be too expensive for those most in need; increased density would exacerbate transportation, education, and infrastructure problems; large new buildings would alter local streetscapes; and, most importantly, the plan would spur luxury development and hasten gentrification. Relative to the vigorous and sustained public debate on these issues, there has been little public discussion on the ways that the city’s proposed rezonings are already impacting New York City’s largest form of affordable housing: rent regulation through rent control and rent stabilization. Rent regulation accounts for nearly all of Flushing’s affordable housing. The neighborhood’s white-hot real estate market, however, increasingly threatens these rent-stabilized apartments. DCP’s proposed rezoning - which links the production of affordable housing with the construction of thousands of luxury units - has only increased land speculation and, therefore, landlords’ imperative to deregulate their holdings. 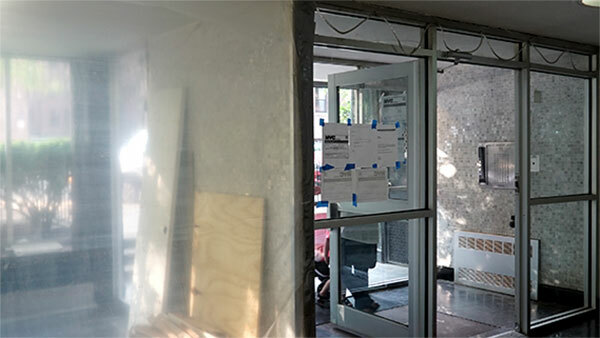 Though the rezoning has been paired with an increase in funding for anti-eviction legal services, it has already catalyzed a number of hyper-speculative real estate transactions in downtown Flushing, including within the rezoning area. Based on the 2014 state Division of Housing and Community Renewal (DHCR) list of rent-regulated buildings, there are 388 rent-stabilized buildings in Flushing. This list, however, includes buildings that have partially converted to co-ops, meaning some units are owned by residents. Conversion of rental buildings to cooperatives requires a minimum of 15 percent of tenants opting to purchase their apartments. DHCR lists properties as rent stabilized as long as there is at least one rent-stabilized unit in the building. Based on a review of city Department of Finance sales data, 81 buildings, including five that converted to cooperative in the past year or so, recorded 1,198 apartment sales since 2010. In addition to the hundreds of co-op sales in rent-stabilized buildings, 42 buildings (with a combined total of 1,800 rent-stabilized apartments) were also sold during the study period of 2010 to January 2016. The sold buildings represent a sizable 11 percent of all of Flushing’s rent-stabilized buildings. In December 2015, a massive sale of eight rent-stabilized buildings, all but one located a few blocks from Flushing’s waterfront, was covered by Crain’s New York Business. These rent-stabilized buildings, comprising 488 apartments, are clustered on Flushing’s Sanford Avenue and were sold to an investor group represented by New Jersey-based Treetop Development LLC. ACORE, a California-based investment fund established in May 2015 - only a few months before the Sanford Avenue purchases - financed the hefty $138.8 million purchase. ACORE is capitalized by a $1.6 billion commitment from Delphi Financial Group Inc., a wholly-owned subsidiary of the Tokio Marine Group, Japan’s largest publicly traded insurer. 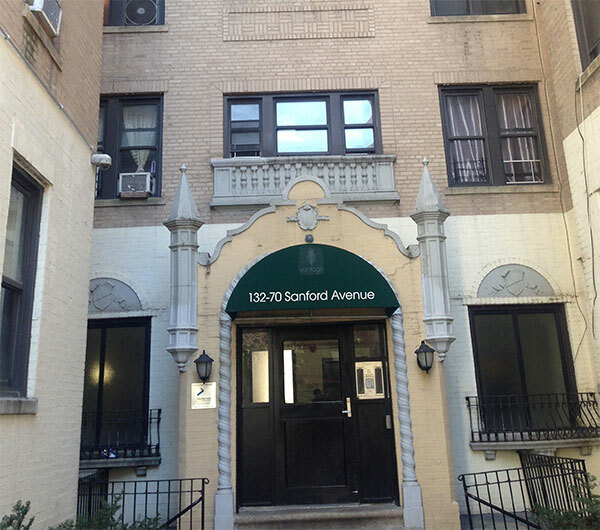 The purchase of seven Sanford Avenue rent-stabilized buildings, financed by transnational private equity investors, illustrates how multi-family, rental properties in the outer boroughs are treated as global investment vehicles with tremendous potential profits. In order for those profits to be realized, however, rents will have to increase substantially, and in all likelihood, the apartments will be deregulated. Although Treetop Development LLC principal Adam Mermelstein reassured, “We’re not running after tenants like some landlords do, trying to induce turnover on the apartments to get them to market rate,” their $10 million investment in “an intensive capital expenditures program” portends displacement. Treetop Development LLC plans to renovate apartments and landscape gardens in order to “remake the Flushing Portfolio into one of the premier residential addresses in Flushing, Queens.” This rebranding language underscores that so-called “major capital improvements” in rent-stabilized buildings are a primary landlord strategy to permanently raise rents and facilitate tenant turnover. This speculative activity is not confined to privately-owned buildings. Queens College students learned from a local resident that tenants were recently evicted from 132-30 Sanford Avenue. This building is listed on two real estate websites as for sale, with one site noting that the building is currently under contract. Further research indicated the building is owned by one of Asian Americans for Equality (AAFE)’s tax-exempt organizations - Community Homes Housing Development Fund Company Inc. According to the building’s deed, AAFE purchased the building in 2008 for $3.5 million. Online realtor descriptions highlight the gap in current and potential rent revenues as a key selling point: “The average monthly rent is $1,023 month, approx. 76% of the current market value, offering tremendous upside potential.” The building is now selling for $9.8 million - a 180 percent increase in just eight years. In October 2015, DCP completed a Draft Scope of Work for an Environmental Impact Statement, which identified 13 projected development sites and included a breakdown of anticipated outcomes based on the proposed upzoning. On these 13 sites, DCP expects the production of 2,062 residential units (excluding 1,254 units of luxury housing currently under construction at Sky View Parc) of which 516 would be affordable to households earning 60 percent of AMI ($54,360 annual income for a family of four) or 619 units affordable to households earning 80 percent AMI ($69,040 annual income for a family of four). DCP’s Draft Scope of Work was completed before the City Council added the option of 20 percent of units affordable at 40 percent AMI, which would mean the Flushing West rezoning may result in 412 units affordable to a family of four with an annual income of $36,240. The Flushing Rezoning Community Alliance, a coalition of nonprofits, unions, and churches, fought hard for this option because the median household income for downtown Flushing residents is just $34,428. The final Flushing plan may also include additional HPD subsidies toward deeper affordability, but the extent, quantity, and longevity of those subsidies is yet to be determined. With Flushing’s remaining rent-regulated apartments at stake, it is important to look at the balance of what is being offered now: the proposed rezoning will produce thousands of market-rate, luxury housing units; a mere 412 apartments will be affordable to average Flushing residents (and then only if the local City Council member and developers choose the newly added option); and nothing at all will be built for families making below-median wages. The neighborhood’s wholesale transformation, which has already begun in expectation of an upzoning, would sweep rent-regulated housing up in its wake and trigger even more harassment, rent hikes, and evictions than the neighborhood has already seen. This scenario demonstrates that Mayor de Blasio’s MIH program is less about preserving neighborhood affordability than turning working-class spaces into luxury enclaves, with small pockets for the middle class. In Flushing’s overheated real estate market, where even nonprofits enrich themselves by selling rent-stabilized buildings for enormous profits, this planned rezoning is already adding fuel to fires of gentrification and displacement. The addition of a few hundred units of affordable housing could not possibly stem the transformative effects of global finance and commercial real estate speculation, and the preservation program the city is currently pursuing will do little to protect rent-regulated apartments. City planners must stop acting as if the negative consequences of upzonings on rent-regulated housing will be mitigated by the paltry provision of new quasi-affordable units, or by increased investments in legal services (though the latter are, of course, important). Instead, we need to prioritize the preservation of rent-stabilized apartments and the production of truly affordable housing, decoupled from market-rate development and its attendant impacts on neighborhood land markets.